First of all, Happy Mother's Day to all the wonderful moms out there!! It's been awhile, but we have had a lot going on and now I have been learning about YouTube! 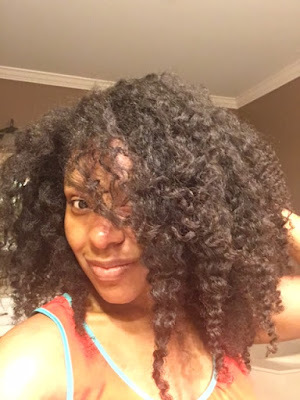 I am so excited about it and I believe this will give you a better visual of how I do my hair as well as other things I like to do for my household. I will have tutorials, grocery hauls, recipes, family vlogs, and more! I'm also working on my son's show called the Nathan Nathan show that you can watch right now!! These were some of our goals for the year of 2017 and I am glad to see them come to fruition. So stay tuned for my channel called Domestic Naturalista!!! 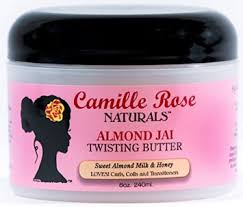 On to other news, It's time to finally give my review on the Camille Rose twisting butter. I actually thought this product would be a thicker creamy substance more like the As I am twisting butter, but to me it has the consistency of a leave in conditioner. I actually love the way it helps detangle my hair along with the Generic Paul Mitchell and Castor oil. On a scale from 1 to 10, I will give this 8 stars. I will definitely pick this up again.